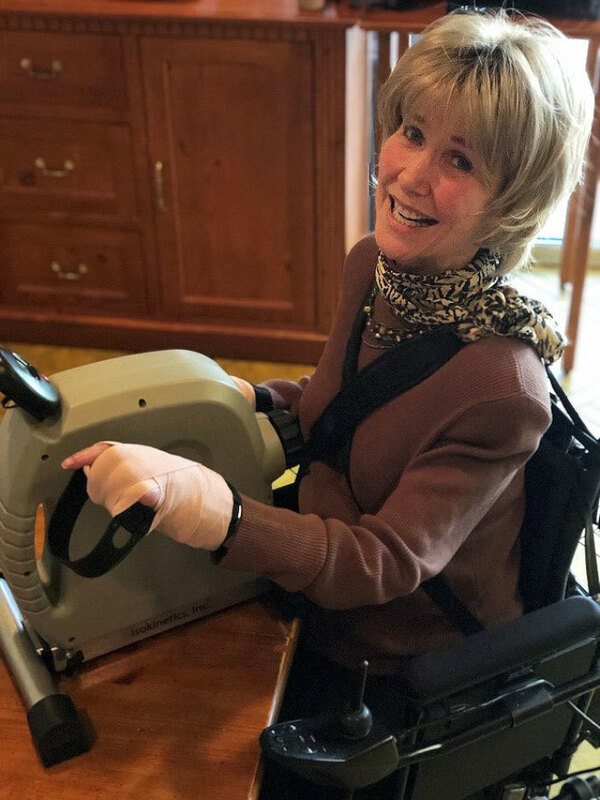 Joni Eareckson Tada says she’s nearly finished with radiation treatment following her cancer diagnosis and shared the powerful Bible verse that's been sustaining her as she battles the disease. “When the radiation regimen began early last month on my chest wall, I asked my radiologist how I could encourage healing in my lungs,” the popular evangelical speaker and advocate for people with disabilities wrote on her website. Tada said her doctor told her to breathe deeply, drink lots of water, and keep her cardiovascular rate up through exercise. But as a quadriplegic, Tada said it’s impossible for her to do aerobics, hop on a treadmill, or take a 2-mile walk. “But what I can do is have [my husband] Ken affix my hands to an arm exercise-cycle with athletic wrap, and let me go at it — after about five minutes, my heart’s pumping hard. And that means a better chance for my damaged lungs to heal,” she said. “The cancer journey is an interesting journey for both Joni and I because it was the cancer journey that reignited our marriage and our love for each other. Basically, when I — when we first discovered the deformity and not knowing what it was, set up the mammogram, the one thing that we learned in that early journey of cancer was it's a hurry-up-and-wait situation. We didn't know how bad this was. We didn't even know it was cancer because no one would use the 'C' word,” Ken Tada told CP at the time. “They would just say we need to take this next test and it wasn't until several weeks after Joni's actual surgery that we discovered yes, it was cancer and yes, it was a stage three cancer because of the size of the tumor,” he added.